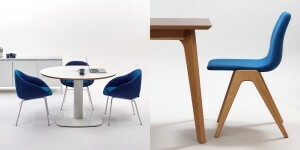 This week a catch up with some recently released product from naughtone: Polly, Always Lounge, Rhyme, Megaped and Dalby. First up is the Polly chair. 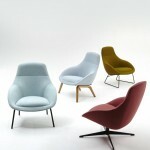 As the name suggests, it features a polypropylene seat shell and furthermore, this is made using 100& recyclable material. 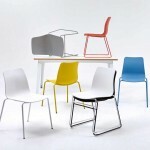 As standard, the shell comes in a range of 6 RAL colours; Black, Stone Grey, Salmon Pink, Yellow, Pastel Blue and White. The base comes as a sled or 4 leg in white or chrome as standard and optionally in a RAL colour to match the shell, adding a touch of fun. 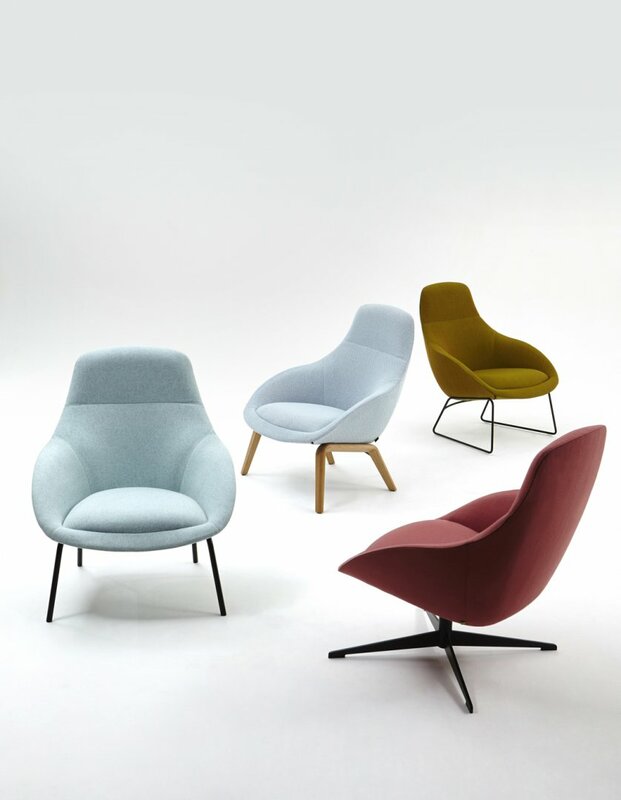 The elegant Always Lounge is an easy form for an easy chair. A careful combination of shapes has created a good looking and comfortable chair. There are 4 base options; 4-leg, 4-star, sled and wooden. The first three options are available in polyester powder coated steel or bright chrome. Rhyme is a striking modular landscape product. 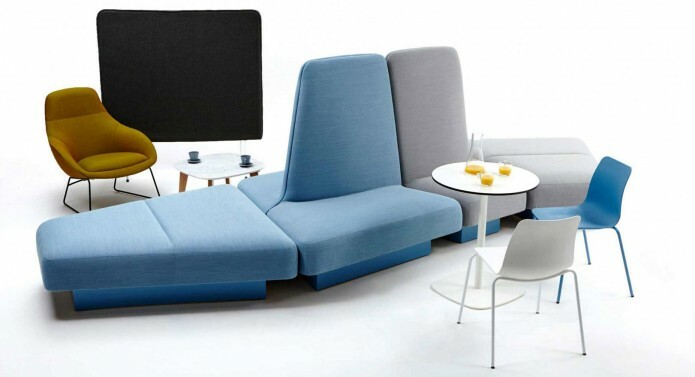 The range features 5 trapezoidal pieces each with the same footprint to allow easy and creative planning. 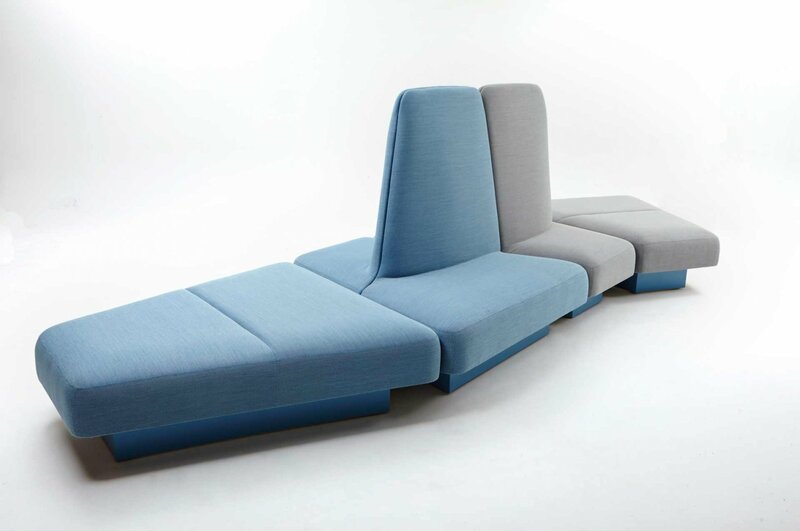 The modules include a bench and four high back spines, giving it an imposing shape, somewhat reminiscent of a shark! 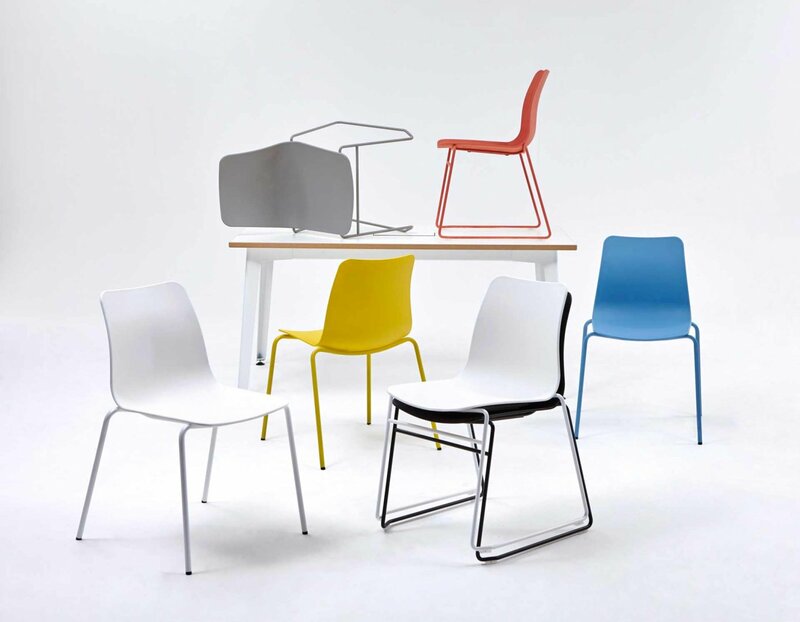 Megaped is an addition to the Ped range. Megaped features a larger base with a wider column allowing for up to 2000mm diameter table tops and also centrally located pop-up power options. Finally, complimenting the current Fold table range is the new Dalby table which follows the same aesthetic with a timber base. In common with all of naughtone’s table ranges, Dalby and Megaped are offered in white MFMDF with matching edge band , white MFMDF, Oak and Walnut veneers or Forbo lino all with a reverse chamfered polished MDF edge.